Although as an investor and as business people you have extensive experience and knowledge in your country of origin about judicial regulations and construction law these are very different in Canada. In order to properly guide you through the decision making process you need a team with a lawyer who is an expert in Canadian business law and an expert with practical experience in the field to advise you in all matters of construction law Canada related to the following aspects: fiscal, labor, project management and others. The construction law Canada in Quebec is regulated differently depending on the sector. In terms of law and labor law each Canadian province has its own laws in terms of manpower. On the Code-and-Law side on construction techniques and methods there is a building code for Canada and one for the Province of Quebec. It is important to find one’s way around in legal matters to know when one and who decides on the implementation of articles of construction law Canada. In Quebec, for instance, in terms of manpower, to work on construction sites of new buildings, workers must have construction skill cards that are issued by the CCQ. This organization is responsible for the control and jurisdiction of the labor and employment law in respect of the construction law Canada. It also requires workers to join a trade union movement. In other provinces such as Ontario or Alberta the law is different. For building contractors the law and construction law Canada varies widely from one province to another. In another context, the protection of the entrepreneurs, Quebec law provides the best system of laws in the world to guarantee the payment of the projects by the law on legal mortgages to protect the contractors who performed the work. All these aspects affect the construction law Canada. Whether you are an investor immigrant or an aspiring entrepreneur, the construction law Canada is very vast and different from one province to another. 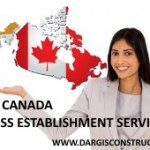 Construction Daniel Dargis Inc. and its network of lawyers in Canada real-estate law and construction law Canada helps you find your way. We even offer training sessions and summary presentations with practical examples that paint a picture of the nature of the law in Quebec and construction law Canada. This is to better understand the construction and real-estate projects sector in Quebec, Canada. Construction Daniel Dargis Inc. is a construction and engineering firm in Quebec, Canada with a large network of lawyers specialized in the construction law Canada and in Canada real-estate law that helps business people, future real-estate developers and new entrepreneurs in Quebec. Contrary to the law offices that deal only with the legal aspect, we bring together experts from fields that have a practical experience of construction sites and projects in addition to guiding our clients to partner lawyers experts in Canada real-estate law. We act as tutors, mentors, advisors, consultants, employees, supplier and facilitator of projects and contracts in order to help our client business people in Quebec, Canada.